About ten years ago, my family and I were absolutely obsessed with Persian food. 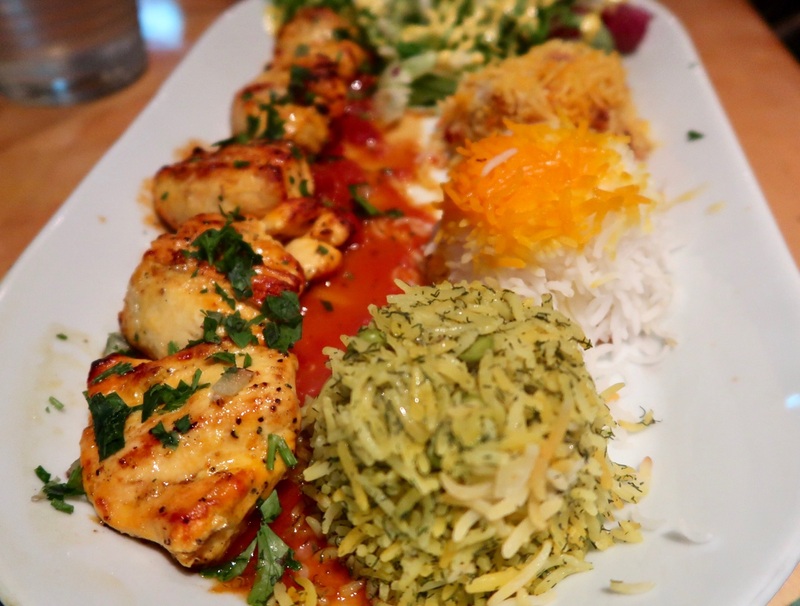 We’d had enough of our usual – Tayyabs and Lahore, and had a new found love for buttery rice, juicy koobideh and zingy joojeh. Having overdosed on Persian food all those years back, I never really went near it again. However, after a recent visit to a Persian restaurant this summer, my obsession has returned! 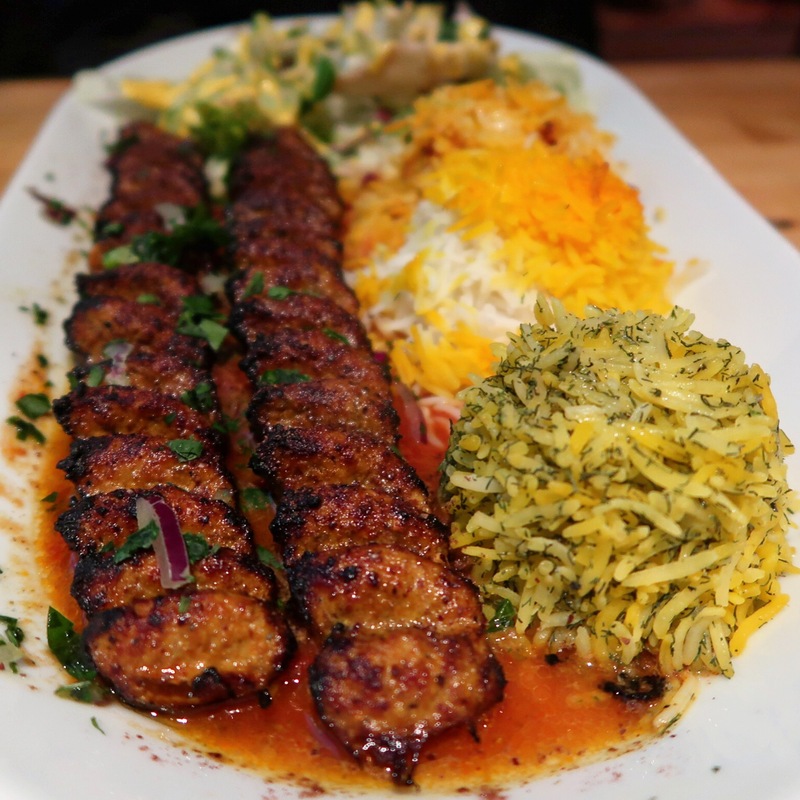 Almost every weekend I drag my family and friends with me to try out a new Persian restaurant serving some buttery, meaty goodness. My most recent visit was at Simurgh, a cute little restaurant in Covent Garden with my friend Monia. We ordered koobideh and joojeh with exotic rice! This included THREE mini portions of rice. I was in rice heaven! Koobideh is something you can’t really go wrong with and Simrugh’s version was good but not amazing. Yes it was juicy and yes it was delicate, but it lacked flavour. Most of the flavour came from the bed of tomato sauce that it was on. Once combined it was really tasty. Even though I’m a big red meat eater, when it comes to Persian food, the joojeh has my heart! It’s usually super juicy, bursting with flavour and absolutely delicious! Simurgh’s take was not as succulent as I’d hoped but it had a great zingy flavour from the lemon and yoghurt. I personally didn’t like the fact that the chicken was on a bed of tomato sauce and would’ve preferred the sauce on the side, but nevertheless I still enjoyed it. What is unique about this restaurant is that you have the option to try three types of rice altogether! Being the big rice lover that I am, I was so excited to try it! 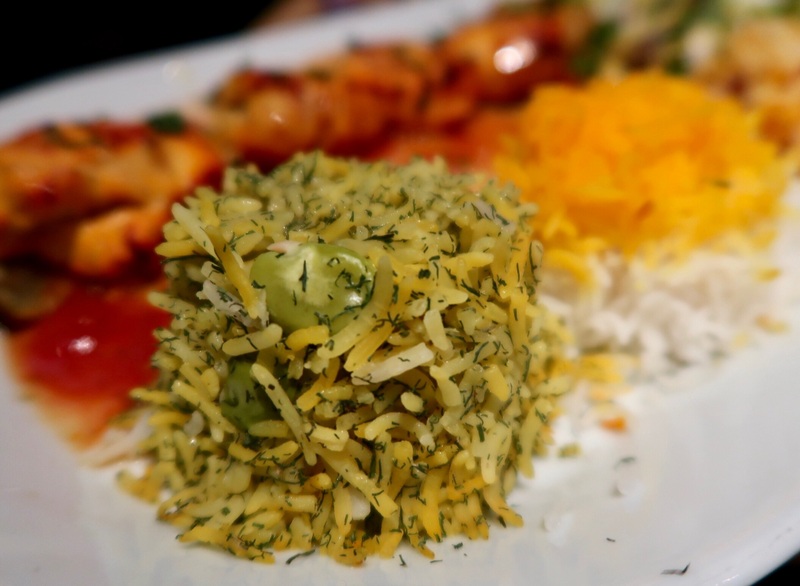 We each received a portion of saffron rice, barberry rice and dill rice. All three were different and delicious but the barberry rice was my favourite. It had a slight sweetness and tanginess and was perfect with my joojeh! Overall the bill amounted to just under £20 each, a pretty pricey Persian meal! The food was good but not perfect and I don’t think I’d return unless I was in the area. Having said that, I think it’s worth going to try at least once, especially for the exotic rice!